This buckle is made in sterling silver and Kingman turquoise. It measures 2 1/4 inches by 1 3/4 inches. This one was the first of many that I made. 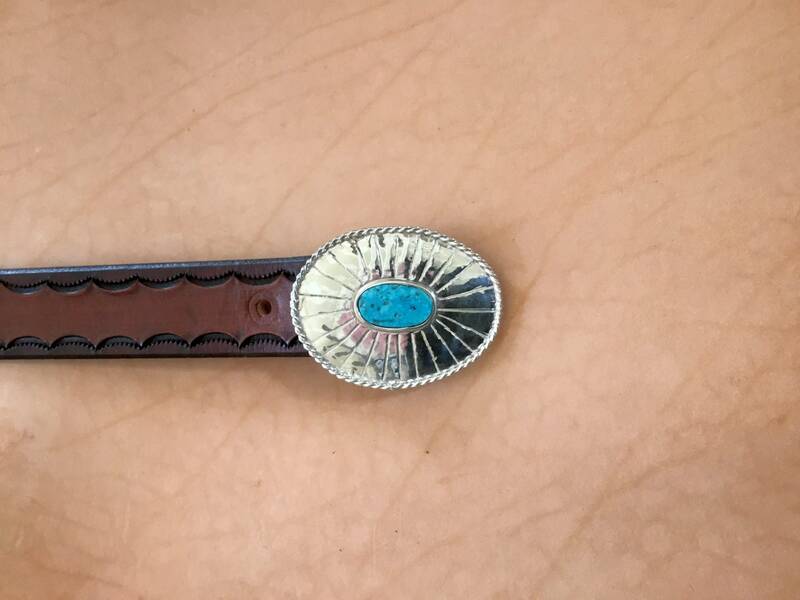 I usually put Kingman Turquoise in this buckle but I could make it with other stones. I have a matching bolo tie RF866. The belt show is not included and it is 1 1/4 inches wide.